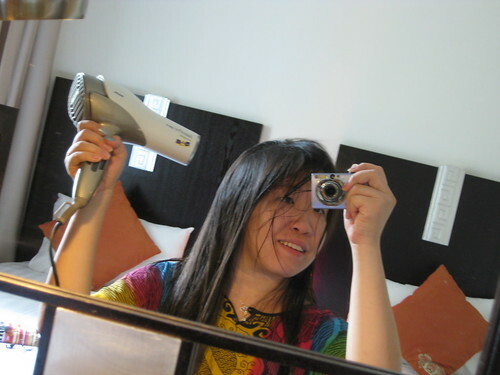 Drying my hair after checking-in to Link Hotel. Am heading out for food now. Hope my freshly washed and blow dried hair won’t get greasy from the Singapore smog! So much for my feeble attempt at live blogging. 😛 Got free broadband connection in this hotel room okay so must make use of it!